Ghee is clarified butter. You can make ghee at home. Ghee is better than butter for several reasons. 1) Clarified butter does NOT contain casein, which is known to feed cancer and tumors. Some people cannot have dairy, not because they’re lactose intolerant, but because they have a sensitivity/allergy to casein. 2) Clarified butter is better for cooking and baking because it can withstand higher temperatures. 3) It tastes and looks like butter. And yes, it solidifies. 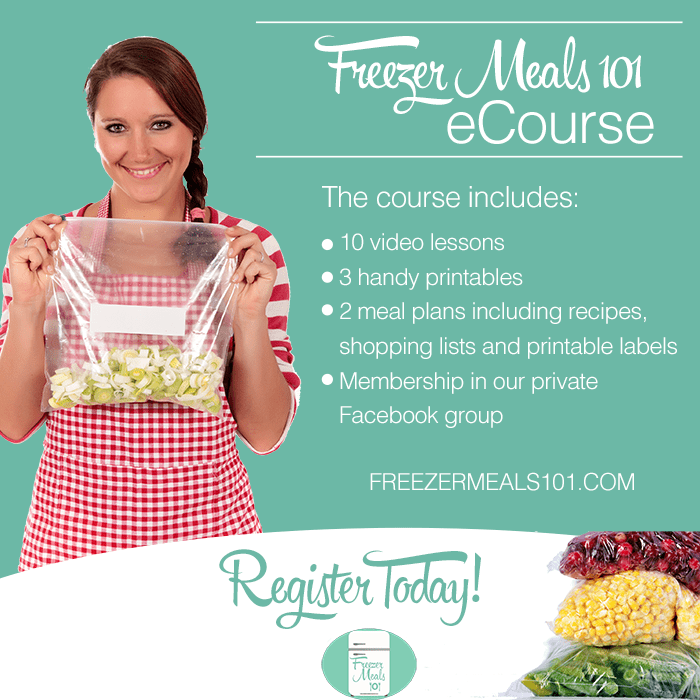 You can use it for anything you would use butter or oil for. I got this recipe from one of my Indian student’s grandma when I lived in the Dutch Caribbean many years ago. – glass bottles (like mason jars) with lids to collect the ghee. 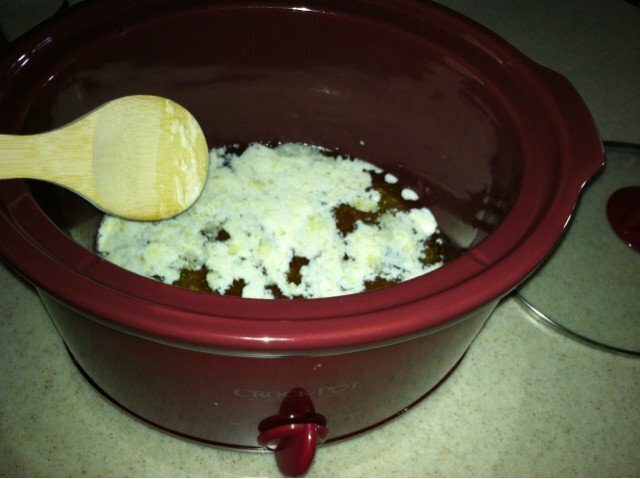 1) Put the 2 pounds of butter in the crockpot (temperature should be on high). 2) Leave the lid off. 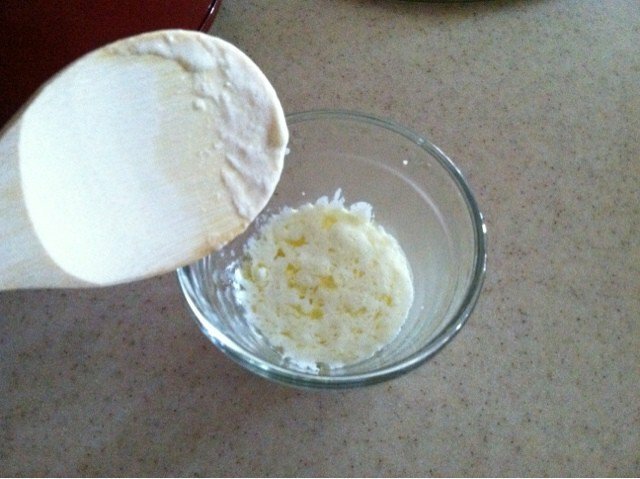 2) The butter will melt and begin to foam after 2-3 hours. 3) As you see this foam come up to the surface (top) of the crockpot, start scooping it out with the spatula. 4) You can stir a little to get more of it to come to the top. That is the casein and you want to get as much out as you can. 5) The whole process will take about 5 hours. Check on it every hour or so. You can start scooping the foam as soon as you see it or wait until the end to get it all out. 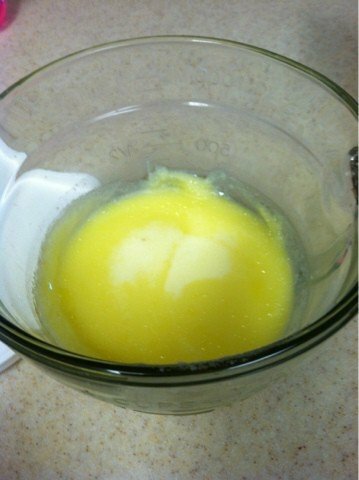 6) The thicker part of the butter (casein) will also be sinking to the bottom. As time goes on, you will notice that the bottom stuff is looking harder and a bit brown (a bit burnt, I guess). That is when you can get your ghee out. 5) Take the strainer you have and put the cheesecloth inside it. Make sure and fold it over several times. Mine is pretty long, so it can fold about 3 times. 6) Pour the ghee through and let it cool for an hour or so. 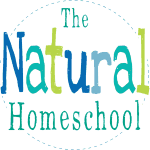 When it is room temperature, you can pour ghee into mason jars or any glass containers with lids. 7) It doesn’t need refrigeration. Here in Arizona, it is good for a month. Just make sure your containers are super clean before pouring the ghee in them. This helps extend its shelf life.